The European Mouflon (Ovis gmelini musimon) is a wild sheep species originated in the mountains of Corsica and Sardinia, which has been progressively introduced into many European countries since the 18 th century. The current interest in mouflon framing in game reserves and conservation programs have contributed to the economic and environmental relevance of this species. Sanitary management in captive conditions and immobilization techniques are described in the present monograph in order to reach a correct management in captive or wild populations. 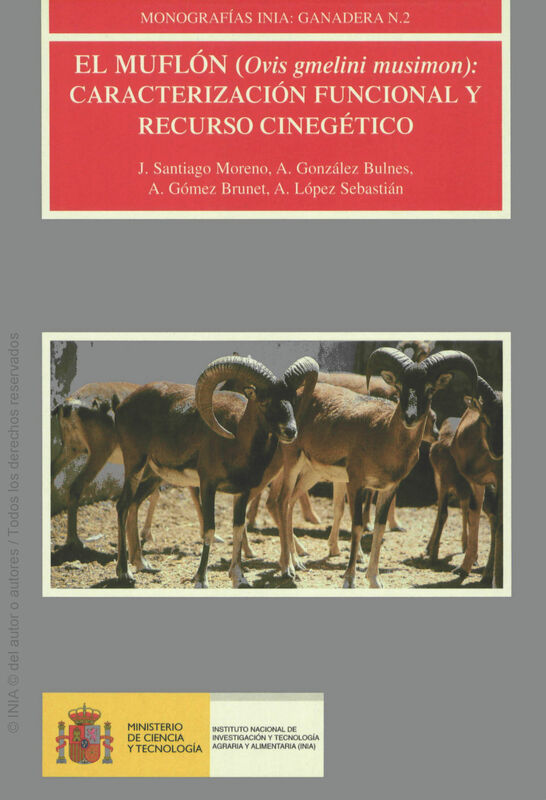 In the order hand, different methods to monitor reproductive activity in mouflons are assessed. Recent studies about the reproductive physiology in the mouflon have allowed the application of methods of assisted reproduction, widely used in domestic animals. Physical Description : 217 p., 17x24, il.